Women-only adventure travel is one of the fastest growing segments of the adventure travel market. Many women — single or married — like the camaraderie of an all-female group trip. "Because women in any culture relish the freedom to experience new things away from limiting, societal expectations," says Susan Eckert, president of AdventureWomen. "We have a unique sense of discovery, an unabashed curiosity, the easy ability to laugh at ourselves and the capacity to create a non-competitive environment of support and encouragement for each other. Under these circumstances, women feel free to challenge themselves…"
Eckert's company is just one of several who now cater to the female travel crowd. Here is a list of other organizations that offer similar experiences, providing safe and accommodating itineraries for ladies who love to travel together. For more than 25 years, Wild Women Expeditions has been organizing fantastic trips to the far corners of the globe. Amongst the destinations that the company covers are places like Nepal, Mongolia, New Zealand, and Chile. Activities range from trekking and cycling to horseback riding and sailing. There are even opportunities to go on yoga retreats and learn to surf and stand-up paddleboard too. Additionally, Wild Women takes a shared leadership approach to its trips, giving travelers an opportunity to weigh in on important decisions and have their voice be heard. All trips are sustainable and environmentally-friendly as well, making it a great model for modern adventure travel. The company's Goddesses, Queens, and Heroines Tour of Egypt is an especially interesting experience that celebrates the strength and resiliency of women. The Women's Travel Group bills itself as a travel company specifically designed for women of all ages who are interested in going solo — without having to be a single-traveler surcharge no less. Trips span a variety of genres, including cooking in Tuscany, safaris in Tanzania, and a 10-day trip across China and Mongolia. Most itineraries include at least one activity that is specifically geared toward women, such as guest speakers or shopping at a local, woman-owned coop. While the organization has several tours that are amongst its staples each year, it also offers new, unique opportunities on the regular as well. Many of its clients are return customers, coming back to try a different itinerary on an annual basis. The group's Italy cooking and spa deals are particular favorites. Adventures in Good Company, which was started back in 1999, offers active vacations to destinations near and far, including hiking in the Adirondacks, kayaking in Belize, and island-hopping in Greece. Couples, groups, families, and solo travelers are all welcome, and the company offers flexible itineraries, a supportive environment, and deep cultural immersion with a host of great trips across North America, Europe, Africa, and Asia. Good news for mindful travelers: The sustainability-focused company contributes 15 percent of its revenue to non-profit organizations. It also works with local operators to develop its itineraries and practices a leave-no-trace principle on all trips. Completely owned and run by a team of driven ladies, AdventureWomen has been offering trips designed for females since 1982. That fact alone makes the company a pioneer in this travel field, but it continues to innovate with a wide variety of destinations and activities too. AdventureWomen offers a selection of trips designed specifically for ladies age 30 and older. The trips range from Big Sky and Yellowstone hiking to Baja Sea kayaking, and Iceland horseback riding, just to name a few. It seems that the company is doing something right, as some 70 percent of its customers return to the group for another tour. That alone is quite a testament to the quality of its products. The Women's Wilderness Institute offers more than 50 courses that teach solid skills to women who want to explore the backcountry completely on their own. Those courses include options for building leadership skills, learning to navigate in remote places, and basic survival lessons. There are even options for learning to climb, using wilderness medicine techniques, and tracking in the wild. One of the best courses that the institute offers is its Discovery Days option for girls in 6th through 8th grade. The trip includes 5 days of hiking, games, and outdoor adventures built specifically with middle-schoolers in mind with the aim of enticing more young women to interact with nature and their own adventurous spirits. Outdoor gear retailer REI has even gotten into the women-only adventure market with the introduction of its Force of Nature campaign, which includes a host of female-only travel itineraries. Trips include options to explore South Africa, Australia, and New Zealand, Peru, Greece, and many more. The gear retailer even offers women-only mountaineering expeditions and backpacking trips. And of course, if you need any gear or travel equipment, REI can help you find everything you need for your journey. Women High on Adventure is another adventure travel company dedicated to helping women get in touch with their wild side. The company offers ladies-only climbs up Kilimanjaro, treks to Machu Picchu, and excursions to India. It also offers special expeditions to Everest Base Camp and Iceland as well. The philosophy behind WHOA is that through shared experiences, women can create lasting memories and bonds that cross age, culture, and professions. The company also partners with local nonprofits in the places that it operates, focusing on creating sustainable travel opportunities that are as good for the planet as they are for the traveler. Active, adventurous women looking for a fantastic, old school adventure will want to have a look at the itineraries offered by Explorer Chick. The goal is to remind travelers how to get outside and play, without worry about how they look, what they eat, or who is watching. The process begins by taking them to some tremendous destinations that offer cultural immersion and adrenaline-inducing adventures. The company offers trips to Iceland, Peru, Mexico, the Dominican Republic, and more. Along the way, clients go from complete strangers to best friends over the course of just a few days, making the experience all the more memorable and impactful. At Damesly, the goal isn't just to create memorable trips for women but to create a connection that can last a lifetime. 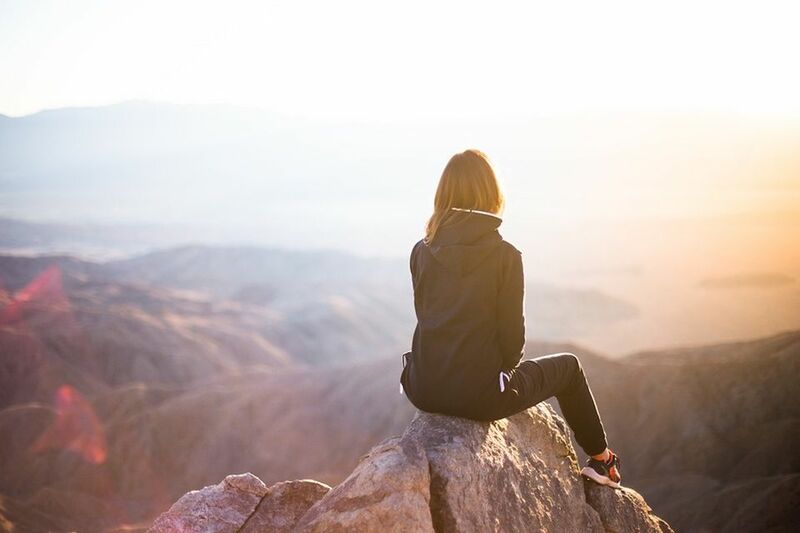 Like the other tour operators on this list, the company takes female travelers to some amazing destinations, like the Grand Canyon and Colorado. But, those trips aren't just about experiencing an adventure. They also serve as a workshop for clients to collect some skills along the way too, including photography, writing, public relations, and more. This is a travel company designed to appeal to creative types, with plenty to offer the adventurous too. Specializing in small-group tours for adventurous women, Gutsy can take fearless travelers to Africa, Asia, Europe, Latin America, North America, and the South Pacific. The company even offers some compelling river cruises as well. Most trips average between 10-16 people, Itineraries vary from locally hosted excursions to fully escorted tours, with stays in small inns, resorts, and spas. For the woman who wants to join a group and have most things taken care of for her, this is the travel company for them. Gutsy takes care of airport transfers, all meals, and tips while providing ample free time to explore on your own. More than 80% of the ladies who join a Women Traveling Together tour do so completely solo. That says a lot about the welcoming and accommodating atmosphere that the company creates for its clients. Group sizes are intentionally kept small for a more intimate experience, and a travel expert accompanies each departure to provide information and assistance. Itineraries include visits to domestic destinations like New York City, Mackinac Island, and Yosemite National Park, mixed in with more exotic escapes to London, Paris, Iceland, and Tanzania. G Adventures Announces the "Jane Goodall Collection"